The final game of 2017 is a mouth-watering El Clásico clash, and both teams approach the match with confidence. Barça can make it 25 unbeaten if they avoid defeat whilst Real Madrid can claw back some of the 11 points they are behind the leaders with a win. A kick-off time of 1.00pm CET is the earliest for an El Clásico fixture in history. Ernesto Valverde has called up a total of 18 players. They are; Ter Stegen, Semedo, Piqué, Rakitic, Sergio, Denis Suárez, A. Iniesta, Suárez, Messi, Cillessen, Mascherano, Paulinho, Jordi Alba, Digne, S. Roberto, A. Gomes, Aleix Vidal and Vermaelen. The trio of Ousmane Dembélé, Paco Alcácer and Samuel Umtiti all miss out through injury, whilst Rafinha, Gerard Deulofeu and Arda Turan haven’t been picked by the coach. Real Madrid’s only doubt was over Cristiano Ronaldo who hadn’t trained with his team mates since their win in the Club World Cup final. He came through the final session of the week with no problems and so joins a fully fit Los Blancos squad. Despite a big lead over Real Madrid, the coach refused to acknowledge that Barça were favourites. “The standings don’t matter in these games. We are not the favourites. They’re very good and we’ll have to be alert and ready for anything,” he said. 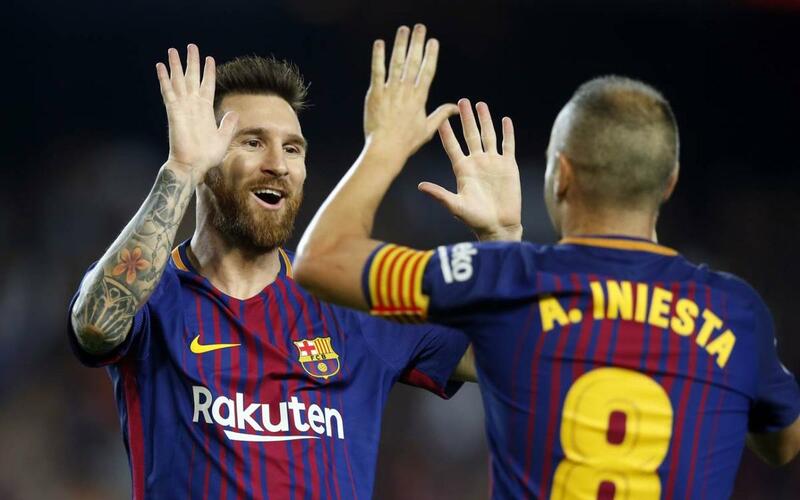 Since the start of the La Liga season, Barça have remained unbeaten in all competitions, comprising 19 wins and five draws. In five of their last eight games, Ernesto Valverde’s side haven’t conceded. Their last defeat came at the Santiago Bernabéu back in August, in the second leg of the Spanish Super Cup. Real Madrid are unbeaten in their last 10 in all competitions, and in their last five home fixtures they’ve scored 16 goals. There hasn’t been a goalless draw in this fixture this century, and only three times in the last 44 in all competitions since 2003 has the margin of victory been 1-0 to either team. Goals are, therefore, almost certainly guaranteed. Four of the last six League Clásico’s at the Santiago Bernabéu have been won by FC Barcelona, and in each of those victories the blaugrana have scored at least twice. Real Madrid will hope to extend their overall dominance in the fixture, having won 95 of the 235 official competitive matches against Barça, whilst Lionel Messi will be looking to add to his all-time record of 24 El Clásico goals.